ABSTRACT A partial petrosal from the Upper Jurassic Morrison Formation of the Fruita Paleontological Area of western Colorado preserving the pars cochlearis and part of the pars canalicularis is described. The endocast of the inner ear showing the cochlea, vestibule, lateral semicircular canal, and the terminal ends of the anterior and posterior semicircular canals is reconstructed from µCT scans. 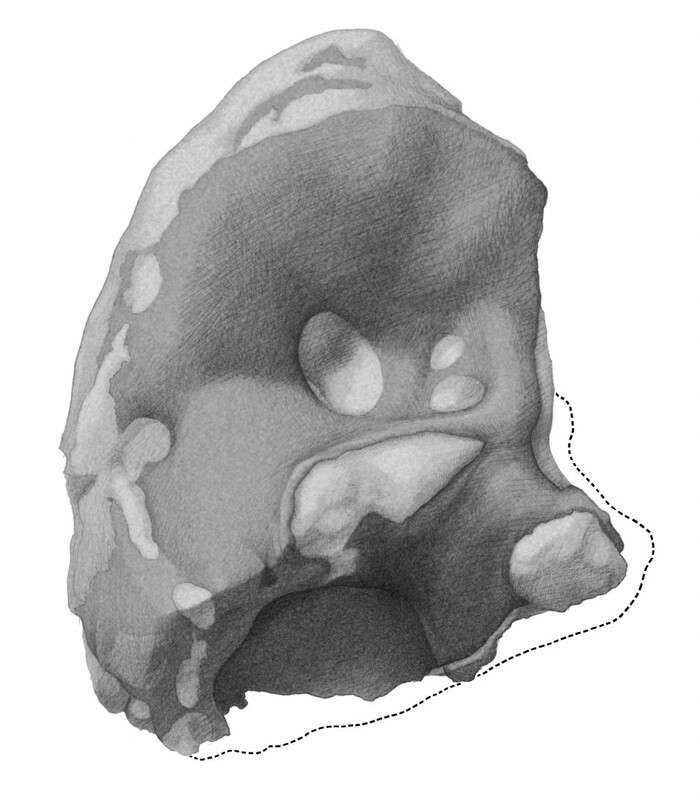 This specimen is only the fourth petrosal known from the Morrison Formation. Mammals known from Fruita include Fruitafossor windsheffeli Luo and Wible, 2005, the triconodontid Priacodon fruitaensis Rasmussen and Callison, 1981, the plagiaulacoid multituberculate Glirodon grandis Engelmann and Callison, 1999, and unnamed spalacotheriids and dryolestoids. The partial petrosal and its endocast share significant features with dryolestoids from the Upper Jurassic of Guimarota, Portugal, including a separate fenestra cochleae and cochlear canaliculus, and a cochlea that is coiled more than 200°. In light of these similarities, the Fruita petrosal is assigned to Dryolestoidea.